There's yet-another hot new Nintendo Switch accessory vying for the right to gamers' hard-earned cash. It's called the OJO, and it's basically what would happen if the Nintendo Switch dock sprouted its own LED projector. 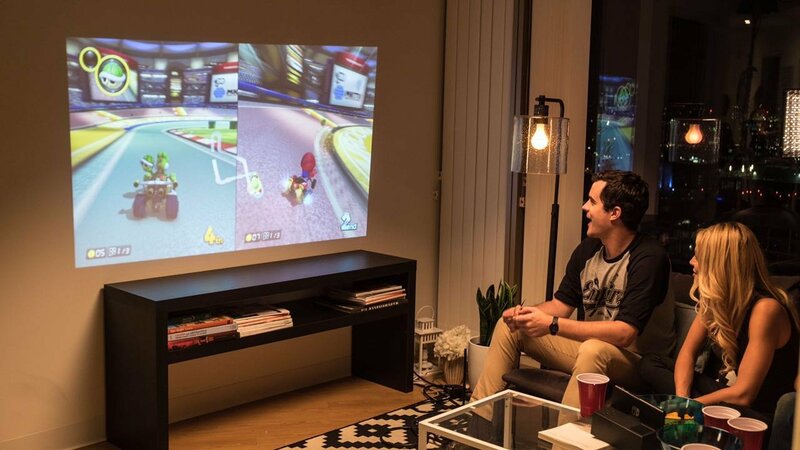 While not the first Nintendo Switch projector to be conceptualized, it does happen to be one of the more robust options, and the device's parent company Yesojo has been taking to Twitter in an effort to show off the unit's capabilities. The OJO is planned to be crowdfunded through Indiegogo, with the device's campaign set to start later this month on October 24. This isn't a mere concept, however; the OJO has already been shown up and running, and Yesojo has already provided a detailed list of specifications that backers can expect, including support for screens up to 120 inches in size, a high-capacity 20400 mAhL lithium battery, and a built-in five-watt speaker. Even better, users can hook up their mobile phones or even their laptops to the device for standard mobile projector functionality. Check out the full specs below. • Screen size from 30" up to 120"
With stats like these, it's easy to see how the OJO makes for an exciting premise. 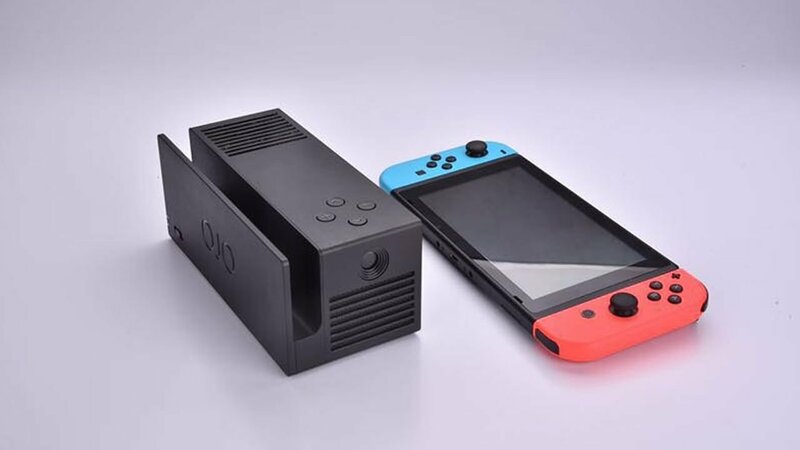 Especially considering the Switch's goal of becoming a local multiplayer gaming experience, the OJO stands to break the system out of its diminutive 7" display and provide an engaging experience no matter how many players are involved. We can expect to learn more about the OJO projector as it grows closer to the launch of its Indiegogo campaign next Tuesday. Keen on more great Nintendo Switch accessories? Have a 3D printer sitting around? In that case, we recommend checking out some of the fancy and functional accessories we've featured on our list of the Best Free 3D-Printed Nintendo Switch Accessories.